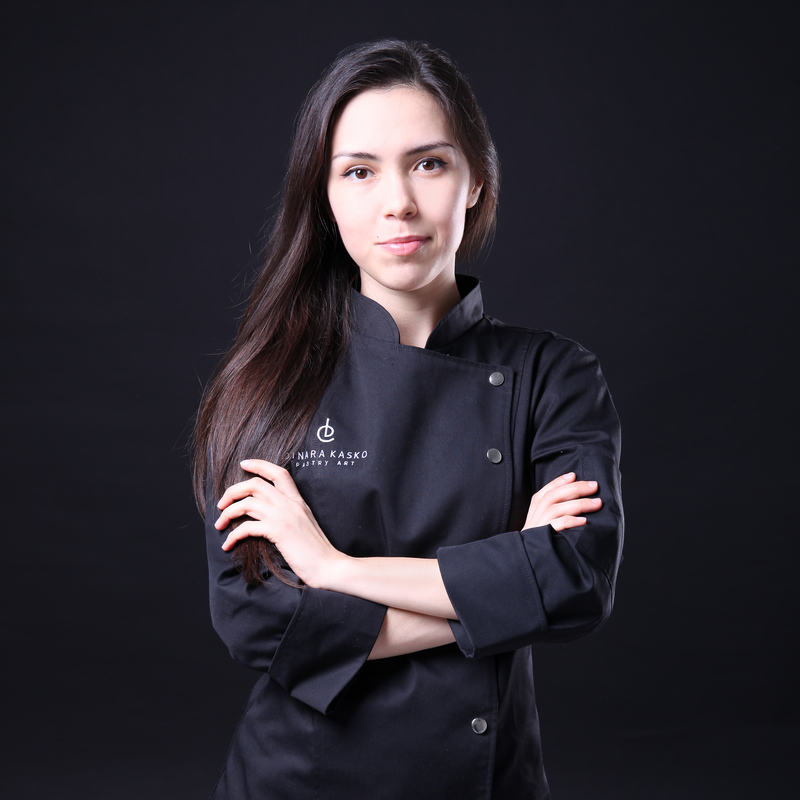 Dinara Kasko is a Pastry Chef from Ukraine. She’s 28 years old. She started to bake like most of housewives, with some simple cakes and pies, but it quickly turned into her passion. She graduated from University of Architecture and Design and worked as an architect-designer and a 3D visualizer. It just became more interesting to her at some point. 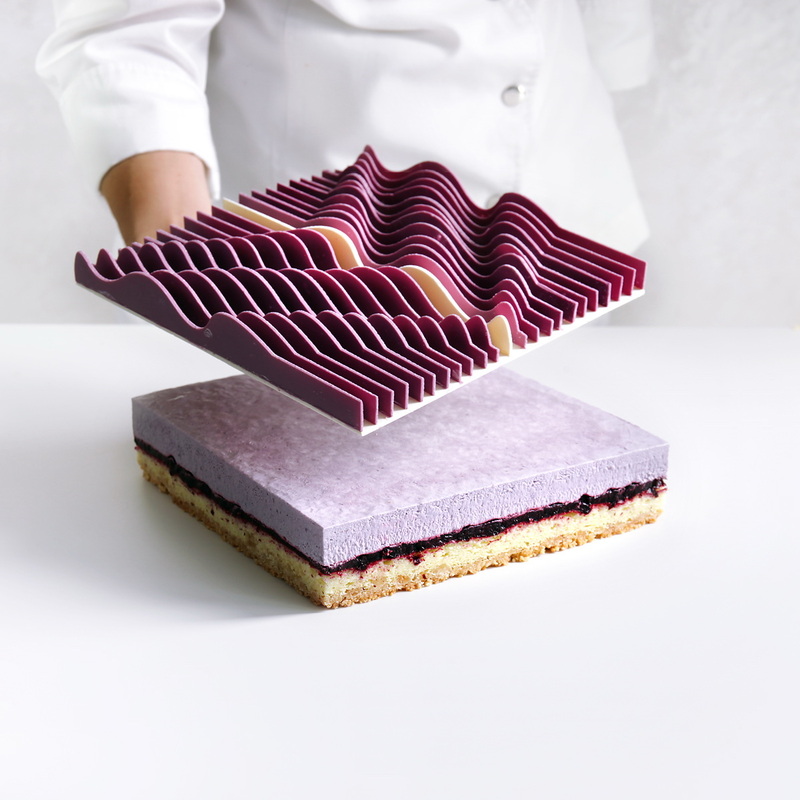 IShe liked what she was doing as an architect, but now she’s more interested in Patisserie. From the moment she got into Patisserie she decided to try to add something new into it. She realized that the appearance is as important as taste. She tried to model her own moulds and print them with 3D printer and she liked what she got. She wants to try more and more in Patisserie and she can’t stop, she’s studying, modeling and baking. She prefers simple plain geometric shapes like cube, triangle and sphere. She likes black colour, as well as red and white. She likes sharp straight lines. She hopes you will like what she does. Contact her if you have any questions or suggestions, if you need her permission to use content, images or videos.